May 31–Our Austin agenda is packed, and Friday morning was no different. We visited the Bob Bullock State History Museum, which covers hundreds of years of Texas history—from Spanish explorers to Apollo 13 landing on the moon and reporting back to Houston. 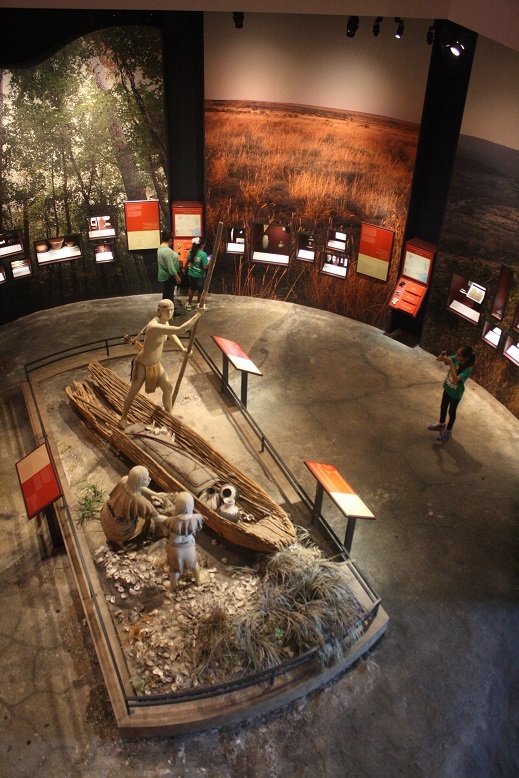 With so many interesting facts about the state, it was impossible to learn about all the exhibits and artifacts. But we each had our favorite, lingering over important documents, old fashion tools, jewelry, many weapons, and large-scale displays. 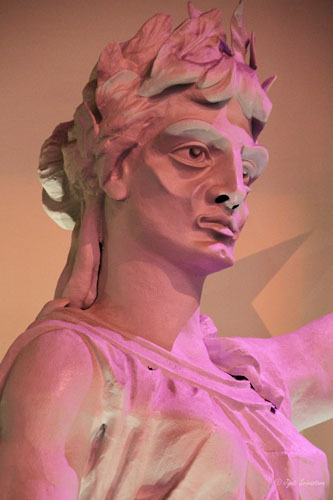 Perhaps the most intriguing of the exhibits to our group was the “Goddess of Liberty.” The exhibit allows you to get close to a full-sized replica of her, and her features were over-large and unflattering. The reason, according to the Museum, was so that the facial features would be noticeable from 310 feet away, which is the height of the Capitol Building. Rumor has it that she was placed atop the capitol building to make it just a bit taller than the US Capitol. My favorite exhibit, however, was Lone Star flag, which included a quote from Sam Houston, who noted that the flag is a “symbol of heritage that marks who we are as a people, who the land has made us, and who we will become…” It was a fitting quote for our group from SHSU, the University which marks us as a group and will influence who we will become. 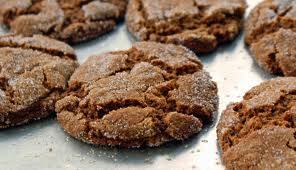 After feeding our brain with knowledge of Texas history, we were also introduced to new spices, flavors, and foods. 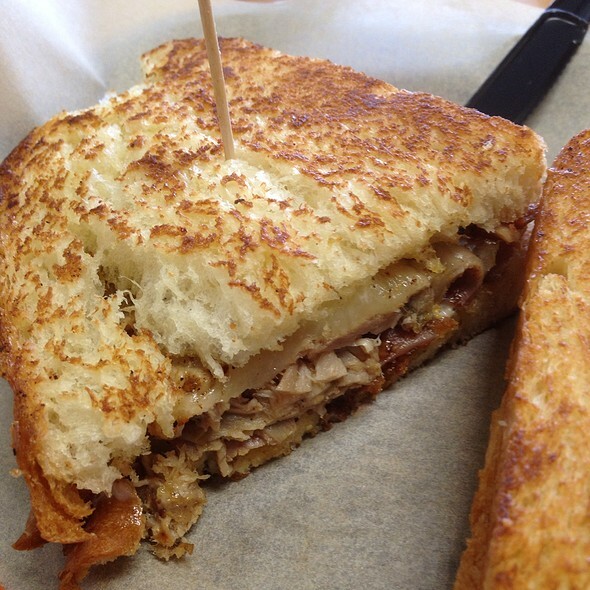 For lunch, we tried the Noble Sandwich, where a long line for the food attested to the popularity of the restaurant. The line also gave us the opportunity to discuss the menu options, which culminated with Jake deciding on the Noble Pig Sandwich (pulled pork, bacon, spiced ham, and provolone) and the ladies sticking together and ordering the delicious Turkey Chop (red onion, cucumber, fresh herbs, and lemon coriander vinaigrette. Professor Yawn opted for the Smoked Duck Pastrami, which consisted of duck, sauerkraut, and Russian dressing. 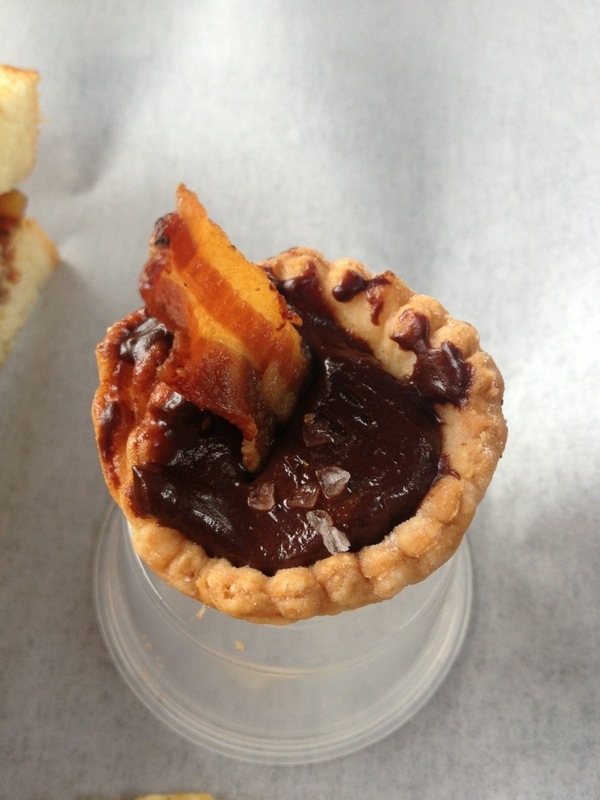 We also expanded our palates by trying a double fudge cookie, a coconut cookie, a maple and pecan cookie, and an exotic chocolate bacon tart! We ended the night with a visit to Quack’s 43rd Street Bakery. We greatly enjoyed a lively conversation, as well as desserts, coffee, and tea. Lupe and Jake finished off a piece of Peanut Butter Fudge cake and a double chocolate brownie, while Joyce and Makeebba shard a Vegan Lemon Blueberry cupcake, and we all enjoyed ginger cookies, a specialty of the bakery. In between lunch and our late night snack, we spent a full day at the New Politics Forum’s “Campaign Bootcamp.” We met students from all over Texas, students from the University of Texas, Texas State, Texas A&M, Rice, and University of Houston. We weren’t sure what to expect, but we were eager to learn from veteran campaign staff, who serve as presenters and mentors on topics such as fundraising, campaign management, volunteer recruitment, message shaping, crisis control, getting out the vote, and social media. 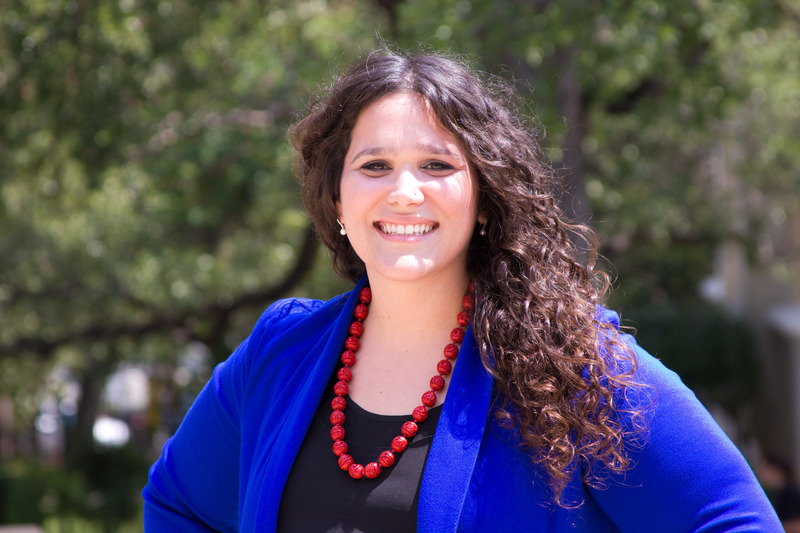 Emily Einsohn, the Coordinator of the New Politics Forum, offered introductions, and she helped establish a welcoming environment, allowing us to focus on the substantive topics. 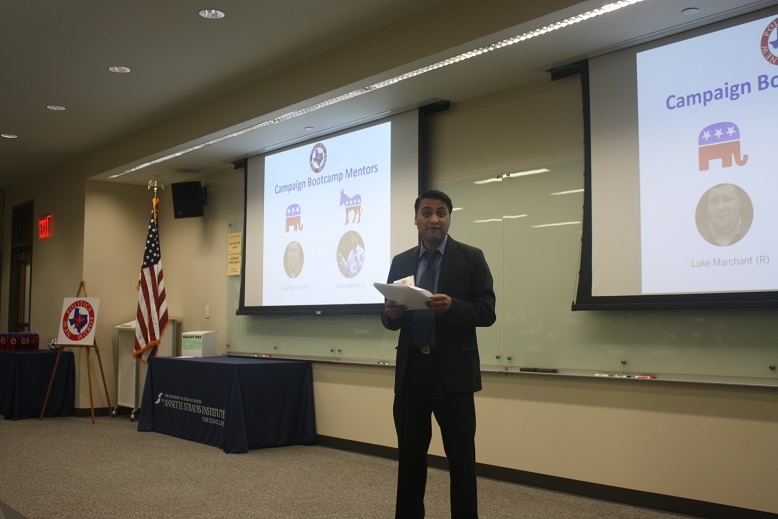 Our first presenter, Parag Mehta, was the Outreach Coordinator for the Barack Obama Presidential Transition Team, and he led off with a poem for an introduction. It was a nice icebreaker. 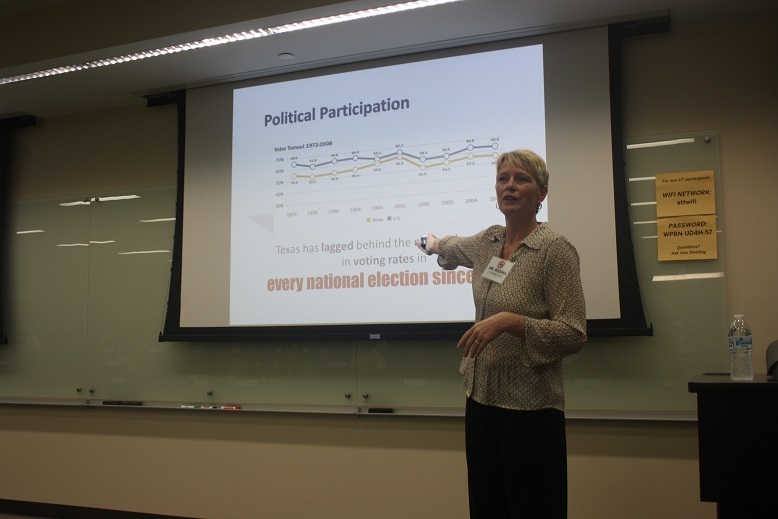 Dr. Regina Lawrence, the Director of the Annette Strauss Institute began with a discussion of statistics, helping us know how to target vote totals. 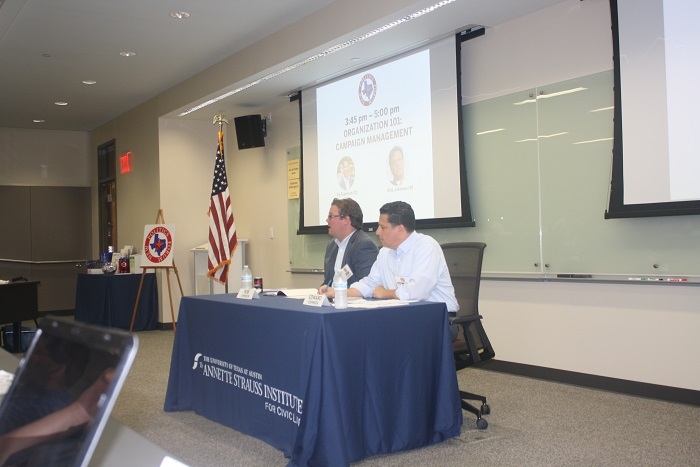 We also heard from Luke Marchant, the Republican mentor, and Parag Mehta, the Democratic mentor—both have worked for high-level elected officials. At least one of us found the campaign management seminar, led by Rob Johnson and Ed Espinoza, to be the most informative. It was a great overview of the process, and appropriate for our first day. We also broke into our groups and were given a hint of our hypothetical scenarios, in which we work to ensure victory for our hypothetical candidate. One of the nice—and fun—aspects of the campaign is that the scenarios bring together Democrats, Republicans and Independents together to work on the same team. We’ll see how that goes!